SA Medal Hangers – Your First Choice for Personalised Medal Hangers in South Africa. Your Achievements on Display! Your First Choice for Personalised Medal Hangers in South Africa. Your Achievements on Display! Here are a few Personalised Medal Hangers we have designed and manufacture for Runners. To order a Personalised Medal hanger please email us. We can design and manufacture medal hangers for ANY sport and love to get creative. Here are a few Personalised Medal Hangers we have designed and manufacture for Soccer Players. To order a Personalised Medal hanger please email us. 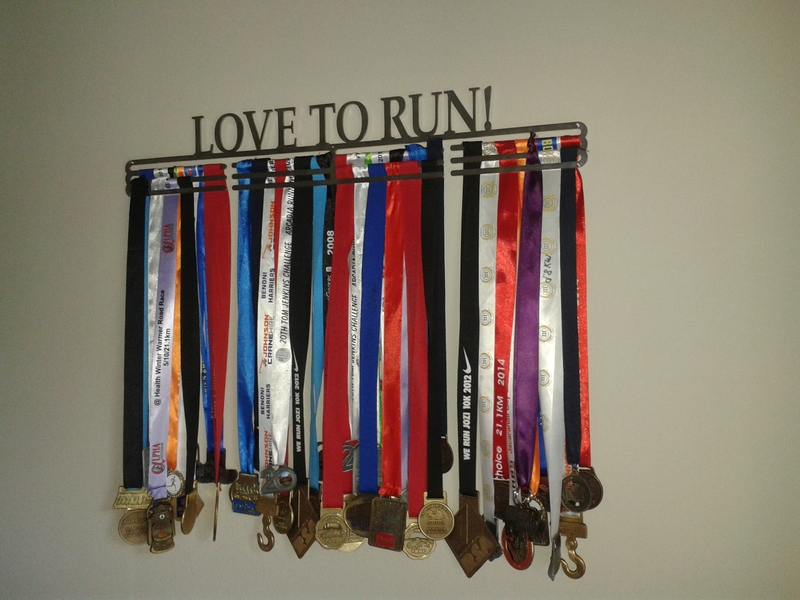 We can design and manufacture medal hangers for ANY sport and love to get creative. For personalised hanger please still email Pamela. Please note we do not take international orders – selling within South Africa only. From the photo Bradley sent us, we drew the image and then laser cut it from 3 mm brushed stainless steel. This personalised, soccer themed medal hanger is slightly different to our normal style with the images and wording cut out of a solid section. We love how it turned out. For orders or enquiries please email pamela@medalhanger.co.za or view our Facebook page http://www.facebook.com/samedalhangers Please note that we do not sell internationally – South Africa ONLY. Please note that we do not sell internationally – South Africa ONLY. Dangerous girl fighters live here! SA Medal Hangers celebrates Women’s Month and all the strong, determined women going out there and doing their thing. Here is one of our latest medal hangers created for Girl fighters. This is still one of our most popular hangers and it is always great to receive photos of it on customers walls displaying their medals. Thank you Grażyna for sending us your photo. Late last year we were asked to create a medal hanger combining martial arts and weight lifting as a thank you gift for a coach.